How do I access the AP Archive portal? Open a Web browser and enter the URL: http://www.aparchive.com. 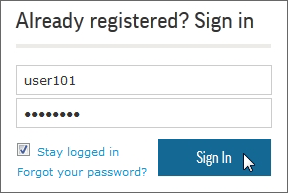 Then, enter your login credentials and click Sign In. If you want to remain logged in each time you visit the site, enable the Stay logged in option before clicking Sign In. By default, the site opens to the home page with a video player and current topical saved searches on top and a listing of your workspace contents beneath it. Don't have a user account? Register for a user account. Can I register for an AP Archive user account? 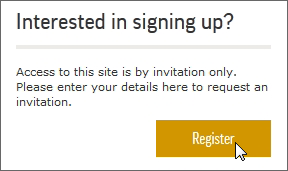 From the login page, click Register to request a user account. Result: The Registration page appears. Fill in the details on the Registration page; then click Register. Result: The Confirm Registration Details window appears. Confirm the registration details; then click Submit. Result: If approved, you will receive an email message containing your account details and a Sign In link that automatically signs you in to AP Archive. I've forgotten my user name and/or password. What should I do? Click Forgot your password? on the Login page. Enter your user name in the box provided; then click Submit. Your password will be emailed to you shortly. Why can't I see the video playing on the home page? the login and home pages, then you need to install MS Silverlight. Click Click now to install and follow the installation instructions. Clicking Click now to install should automatically direct you to the latest version of MS Silverlight; ensure that the software being installed is version 5.1.0 or better. 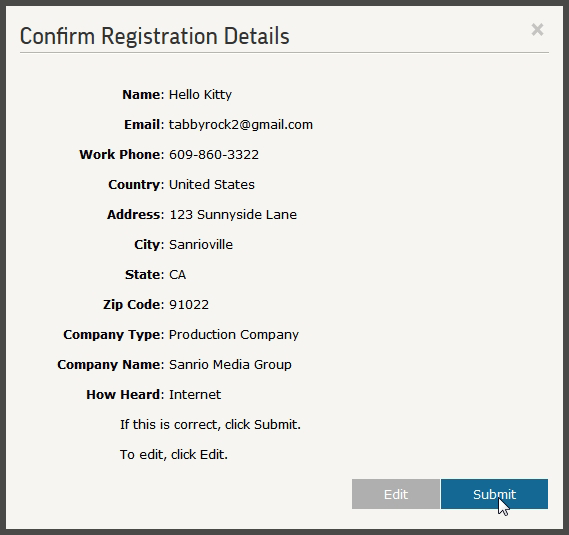 Ensure that you are signed on to your machine as an Admin user. Open the Library Internet Plug-ins folder. 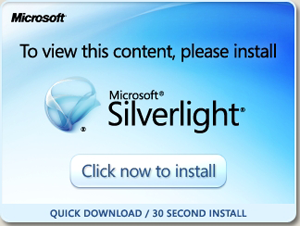 Reinstall Silverlight (for more information, go to https://www.microsoft.com/getsilverlight/Get-Started/Install/Default.aspx). This page will also tell you if your machine, operating system, and browser are compatible with Silverlight. What information is migrated over from the original AP Archive portal? Your user account, profile and site preferences. Your folder collections; however, your screener and master request collections have not been migrated. How do I view and/or update my user and site preference details? Profile. Modify your personal, mailing and business information. Change My Password. Change your password. Preferences. Change your date format and time zone. My Deals. View the details of your assigned subscription and/or meter licences. All settings, except for the new My Deals feature, have been migrated over from the original AP Archive site. How do I access the folders that I created on the original AP Archive portal? Click My Workspace. All migrated folders reside in the My Old Folders Project in the My Projects tab. Now, you can copy the stories in My Old Folders into another project, as well as perform other actions. What types of licences are available? Designed for regular users with tight deadlines. Organisations can subscribe to one or more AP products. Find the footage you need, download and use. Unlimited usage within agreed rights. Designed to provide high volume users with the best rates. Organisations can sign up for a pre-agreed number of monthly downloads. Access to the entire AP Archive. Use within specified productions or add your own. No requirement to declare your final usage to AP. Designed for users working on individual productions or projects. 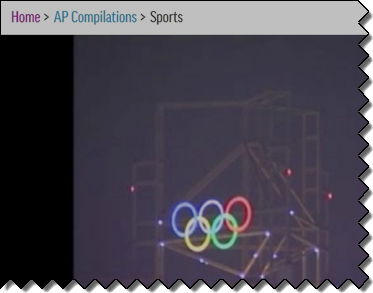 Requested directly from the AP Archive site while either browsing or "on-the-fly" during a footage request. Obtain a licence for a minimum usage commitment. Download footage and pay for only what you use. You must have a licence from AP Archive to use any of our footage in your production, such as your television programme or on your website. Request a licence online, or sign up for a subscription or meter. Then, you will be given access to download footage against that licence. How do I request a licence? 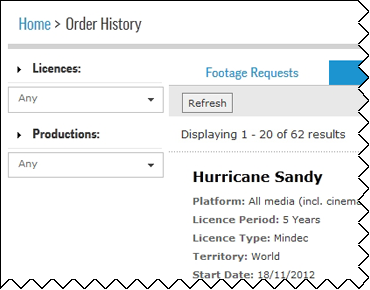 You can request a licence for your production from the Order History page. You must have an approved licence before you can request any master footage. If you do not have a licence, you will be prompted to create one. To enquire about a subscription or meter licence, please contact your Sales representative. From the Order History page: Click Order History New Licence at top right. Select Licence Type = Other; then click My Licences to open the Order History page. Click New Licence at top right. Fill out the Request Licence details. Specify the Production Name, estimated Licence Start Date (optional) and the broadcaster for whom you are making your production (Commissioned by). Some broadcasters have multiple licence rights, so select the one that is applicable for your production. 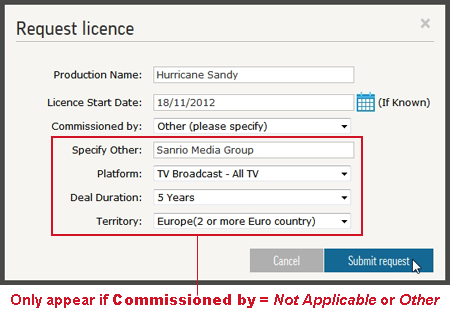 If your broadcaster doesn’t appear in the Commissioned by menu, or you are not requesting the licence for a broadcaster, please select either Other or Not Applicable. Specify Other. Enter the name of the requesting organisation. Platform. Specify how (what medium) you plan to use the footage. Deal Duration. Specify how long you plan to use the footage. Territory. Specify where you plan to use and/or distribute the footage by selecting either a world region or the By Country option. Specify Country. Only appears when Territory is By Country. When the country is selected, Territory disappears. How do I know what subscription or meter licences I have? 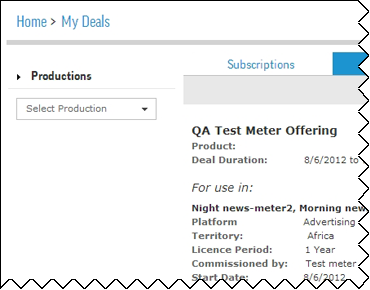 To view the details of your subscription and meter licences, click your name in the top navigation; then select My Deals. A deal consists of a predetermined agreement between your organisation and the AP. Each deal specifies a combination of the deal type, content access and the terms associated with content access, such as the length of the access (Licence Period) and how the content can be used (Platform). To view the approved licences that you requested via the AP Archive site, click Order History at top right; then click the Licences tab. Licences that you created are designated by Licence Type = Mindec. What products are available for subscriptions? All stories from AP Archive that are digitised and ready to view and use. The biggest News stories since 1929 selected by AP curators and updated regularly. Middle East news and historical footage from AP. All stories from the British Movietone archive, 1895-1986. Middle East footage from the archives of British Movietone. Can I request content that is not within my subscription? Your ability to request specific content is dependent on the terms of your agreement with AP Archive. If you are interested in using footage that is not part of your subscription, you will need to request a separate licence for the usage. Once your licence has been approved, you may request and download the footage. How can I see how many downloads are left on my metered licence? Click Welcome <your_name> at top right My Deals the Meters tab. I have reached the download limit of my metered licence. Can I still request footage? Once you have reached your meter limit, you cannot request more footage. To extend your download limit, please contact your Sales Representative. Alternatively, you can request a licence via the AP Archive site for usage separate from your meter. Once your licence has been approved you may request and download the footage. Can I roll over my unused metered downloads to next month? No. You cannot roll over any unused metered downloads. Please try to use your metered downloads within the given month. If this is a consistent issue, please contact your Sales representative to renegotiate the terms of your contract. Why is the My Deals page blank? Your My Deals page is blank if you do not have any subscription or metered licence agreements with the AP. 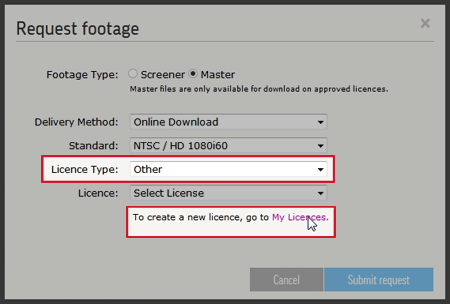 In this case, you would select Other in the Payment menu when requesting footage; then either select a licence that you requested or request a new licence. You will be invoiced later for these downloads. Keep in mind that you must declare story usage for all downloads that are not assigned to subscription or meter licences. How do I perform a basic search for stories? Enter the keyword(s) or search query in the Search box, then click Search (or press <Enter>). A more specific search query will eliminate many undesired hits, yielding fewer search results. View search tips for more information about creating search queries. Do not use spaces before or after =. storyid=(<storynumber1> or <storynumber2>); for example, storyid=(786997 or 726260). 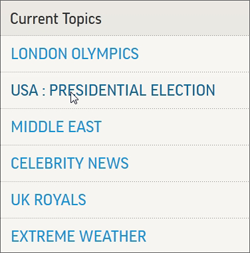 Finally, you can click one of the predefined searches on the home page to find current, topical news stories. How do I perform an advanced search for stories? Enter a search term into the Search box; then click Advanced. Filter search results by either the start and/or end date or one or more decades (1960s, 1970s, etc.) when the content was released. Filter search results based on to specific file formats (such as SD/HD resolution), digitisation status, color or aspect ratio. Filter search results by a specific featured partner. Featured partners have their own landing pages for their content that you can access by clicking Partners in the main menu. Filter search results based on their relation to a particular subscription. This feature is only available if you have a subscription licence. For more information on searching by subscriptions, see the How do I search for content that is in my subscription? FAQ. Perform a basic search. 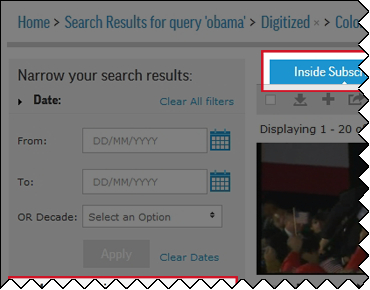 Then, narrow your search results using one or more of the filters at left. For the Date filters, click Apply to initiate date filtering. The left panel contains many of the same search filters as the Advanced Search dialog, in addition to names (People), news taxonomy (Subject) or creator (Source). If you navigate from the search results page, all search filters are persisted when you return. How do I search for content that is in my subscription? Select the appropriate subscription licence from the My Subscriptions search filter from the search results page or the Advanced Search dialog. Experience 1: Users with no subscriptions (full AP Archive access only). 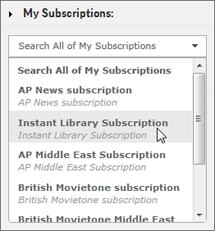 The My Subscriptions filter defaults to Search All AP Archive; there are no subscriptions assigned to select. 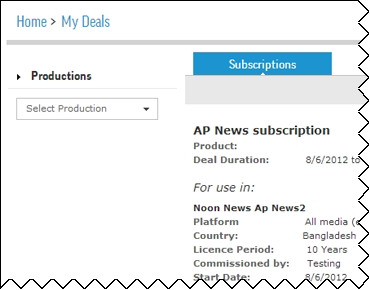 Experience 2: Users with subscriptions plus full AP Archive access. By default, AP Archive searches the entire archive database. Once a subscription is selected, use the Inside Subscription and Outside Subscription tabs to toggle between their associated search results. Experience 3: Users with subscriptions only (no full AP Archive access). 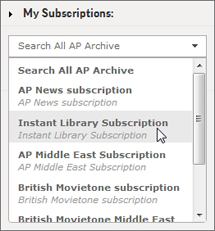 By default, AP Archive searches through all of your subscriptions. Once a specific subscription is selected, use the Inside Subscription and Outside Subscription tabs to toggle between their associated search results. 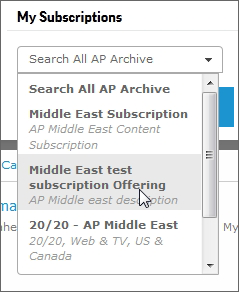 The Search All AP Archive option does not appear for subscription-only users. Compilations of specific subjects, which contain all of the most important and best shots on that subject. The selected stories are categorized after thorough research of the entire Archive database. Categories of stories on specific, ongoing events. These categories are continually updated as soon as a new story on these events enter the Archive. These collections are sorted by specific event for easy accessibility. Only selected AP Archive personnel are allowed to manage these stories; however, you are allowed to add stories retrieved from these collections into Clipbins. How do I access AP Compilations? 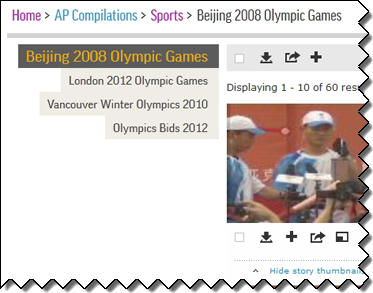 To search for content from our AP Compilations, click the AP Compilations menu at top right; then select the compilation link to open its landing page. The first two categories in the compilation appear on the landing page. Click View All beside the compilation's category name to see all stories within the category or click View All <Compilation Name> Compilations at bottom to see all of the compilation's categories on a single page. To view stories from a different category within this compilation, click a link from the left pane. 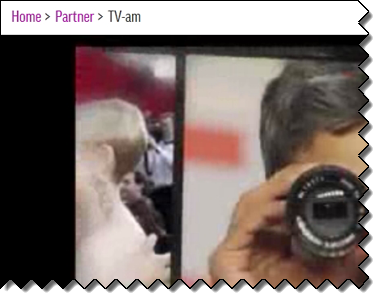 A Partner is a video content owner, typically a broadcaster, whose content is included in the Archive and AP Archive can licence video on that Partner’s behalf. AP Archive may have rights to licence the content worldwide or in specific territories only. How do I view content for a Partner? Click the Partners menu at top right; then select the Partner's link. The Partner's home page appears. Select Partners All Partners to see a list of all of our Partners. Use the Partners search filters from either the search results page or the Advanced Search dialog to narrow your search results by one or more specific Partners. What can I do with my search results? The filters at left allow you to perform search filtering/advanced searching. You can preview footage from either the search results or from the Full View. 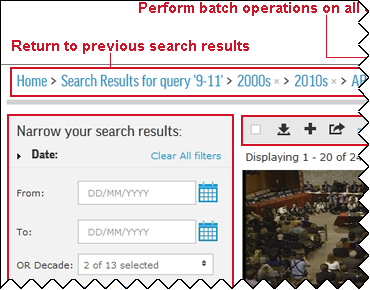 The Action toolbar allows you to perform batch operations (actions on multiple stories). Most story actions can also be performed on multiple stories. Request footage for this story. Add this story to a Clipbin. Display the story's Full View. How can I sort my search results? Select an option from the Sort by menu at top right. You can sort the results by Relevance (to the search query), Newest or Oldest story. I found an interesting story. How do I preview it? 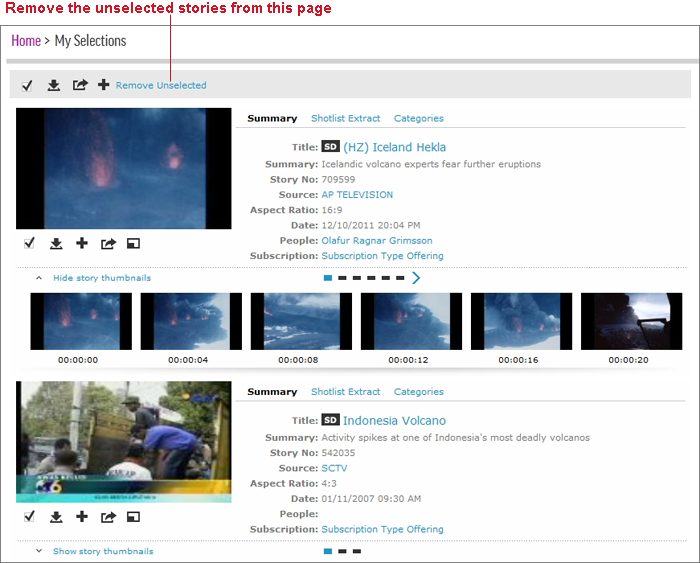 Click the story's main thumbnail to play a small version of the footage from the search results page. If desired, you can view a larger preview. I found footage that I like. How do I view a larger preview? Click either the story’s title at right or below the desired thumbnail in the search results (or any other page that displays stories). the story list in a Clipbin. Click My Workspace <Project_Name> <Clipbin_Name> Full Details at the end of the story's caption. If you click the Back button of your Web browser to return to the search results, the search filters are preserved and you are returned to the exact page of the search results that you were on prior to opening the Full View. I narrowed my search results. Can I return to my previous search results? Yes. Use the links in the breadcrumb trail at top left of either the search results or Full View page. Click to the right of the selected subject to remove the restriction from the search results. In addition, you can use the breadcrumb trail to navigate back to previous pages; for example, to return to My Workspace while viewing Clipbin contents. How do I share content with my colleagues? Share a full story. Click either beneath a search results item or Share in a Full View to email it to your colleagues. In addition, you can also share one, multiple or all items from a Clipbin. Share a clip from a story. 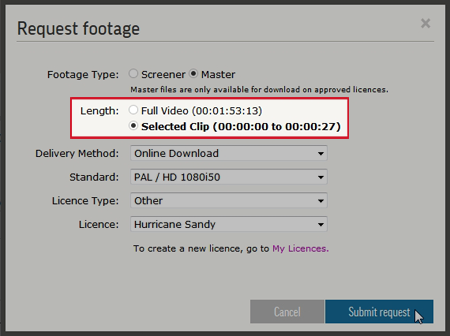 In the Full View, adjust the Clip In and/or Out times by sliding the start/end sliders on the video clipper or by specifying the start/end times in the corresponding In/Out boxes. Then, click Share. The Length options appear in the Share Story window, which allow you to specify whether you want to share the selected video clip or the entire video. Share multiple stories. Select your desired stories, then click from the Action toolbar. 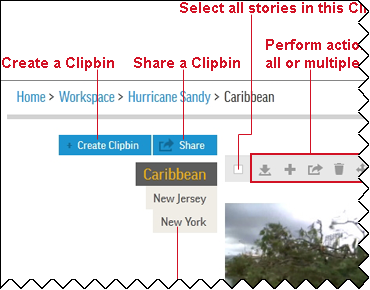 Share one or more stories from a Clipbin. Open the desired Clipbin page from My Workspace. 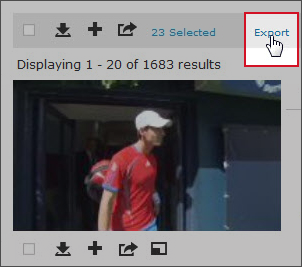 Select one or more items (can be a combination of full videos and clips); then click from the Action toolbar. If desired, you may select items from multiple Clipbins within the Project. Share an entire Clipbin. 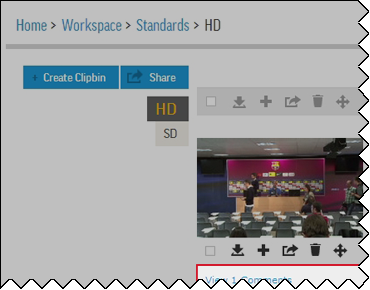 Open the desired Clipbin page from My Workspace; then click Share at top left. Enter the email address(es) of the recipients in the To: box. Separate multiple email addresses with a comma. All other boxes are pre-populated. (If necessary) Modify the Subject and Body details. The email recipients do not need to be signed in to access individual shared stories or Clipbins. However, they are prompted to sign in if they want to copy or move stories from the shared Clipbin into another Clipbin. If the email recipients are non-registered AP Archive users, they will have limited Clipbin functionality. Can I save the details from the search results? Yes. Click Export in the Action toolbar. Then, specify how many pages of search results to export to MS Excel. Save the exported search results to your local machine. How can I determine whether a story is already added to a Clipbin? When a story is added to a Clipbin, its Add to Clipbin icon beneath the thumbnail (or video player in the Full View) changes from to . However, if desired, you can still add this story to another Clipbin. Can I view all of my selected stories from a single page? Yes. Click (#) Selected at top right, where # represents the number of stories that you selected. The most recently selected stories appear at the top of the My Selections page. This feature is especially helpful if you have selected multiple stories from various pages across different search queries. Organise your stories for later use. Share stories with colleagues and other individuals. Request footage as either screeners or masters. Each Project is further organised into separate Clipbins that contain the actual corresponding story items. For instance, you may have a Sports Project that contains Clipbins for each Sports type that you are interested in, such as Tennis, Baseball and Basketball. How do I access My Workspace? The bottom of the home page provides a brief overview of the contents of the first five Projects created in My Workspace. 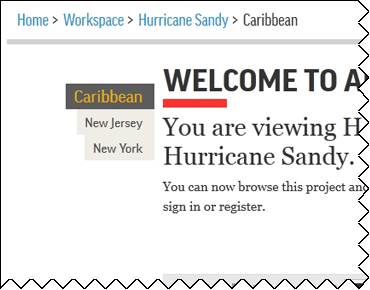 Click View All Projects to open the My Workspace page. Click My Workspace from any site page at top right. Click Create a New Project from either the home page or the My Workspace page. All Project names must be unique. 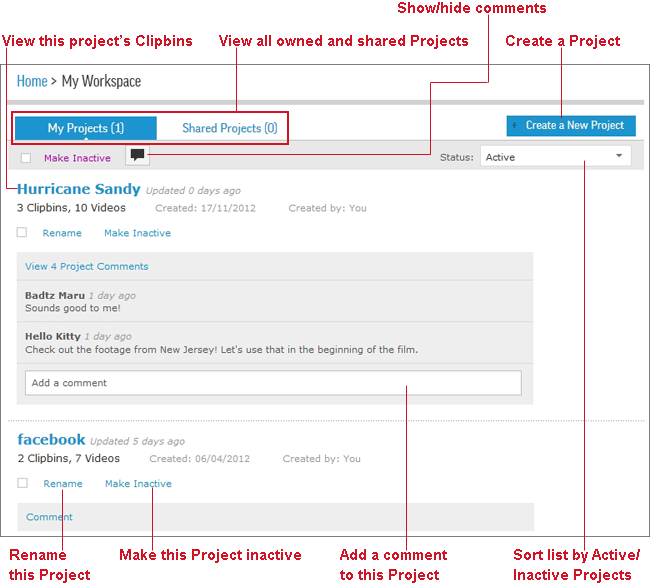 In addition, you can also create a Project when you add a story to a Clipbin. How do I create a Clipbin? Click My Workspace <Project_Name> Create Clipbin to add a Clipbin directly into a specific Project. All Clipbin names must be unique. In addition, you can also create a Clipbin when you add a story to a Clipbin. How do I add a story to a Clipbin? Click (or if the story already exists in a Clipbin) below either the story’s thumbnail in the search results or the video player in the Full View. Then, specify a Project and Clipbin. Either place the story in one of the Project’s existing Clipbins or create a new Clipbin. You will be automatically prompted to create a new Clipbin. You can add the story to multiple Clipbins; however, an error message appears if you attempt to add the story to a Clipbin where it already exists. 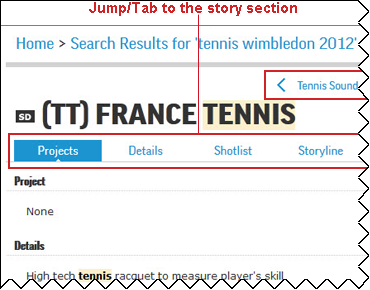 Select multiple stories from the search results; then click from the Action toolbar. A similar error message appears when attempting to add multiple stories to a Clipbin when one or more of the stories already exists. In the Full View, adjust the Clip In and/or Out times by sliding the start/end sliders on the video clipper or by specifying the start/end times in the corresponding In/Out boxes. Then, click Clipbin. The Length options appear in the Add to clipbin window, which allow you to specify whether you want to add the selected video clip or the entire video to the Clipbin. Can I move stories from one Clipbin into another Clipbin? Yes. Click beneath the desired story. Then, select the Project/Clipbin names of the story's new destination. Either move the story to one of the Project’s existing Clipbins or create a new Clipbin. You can move one or more stories from one Clipbin into another; however, an error message appears if you attempt to move the story to a Clipbin where it already exists. What can I do with a Project? Any Project set to Inactive (click Make Inactive) is moved to the Inactive Projects tab and has limited Project functionality. You can set an Inactive project to Active (click Make Active) at any time. You may choose to move stories from an Inactive Project's Clipbin to an Active Project's Clipbin. Folders that were migrated from the original AP Archive site are placed in an the Inactive Project, "My Old Folders," in the My Projects tab. The Shared Projects tab contains Projects (Active or Inactive) that you do not own; another user has designated you as a collaborator for the Project. As a collaborator, you can view all comments to a shared Project and add/delete your own comments to/from the Project or a story within a shared Project's Clipbin. As a collaborator, you cannot delete comments that you did not add. As a Project owner, you can view/add/delete all Project comments as well as manage (add/remove) the collaborators for your Project. 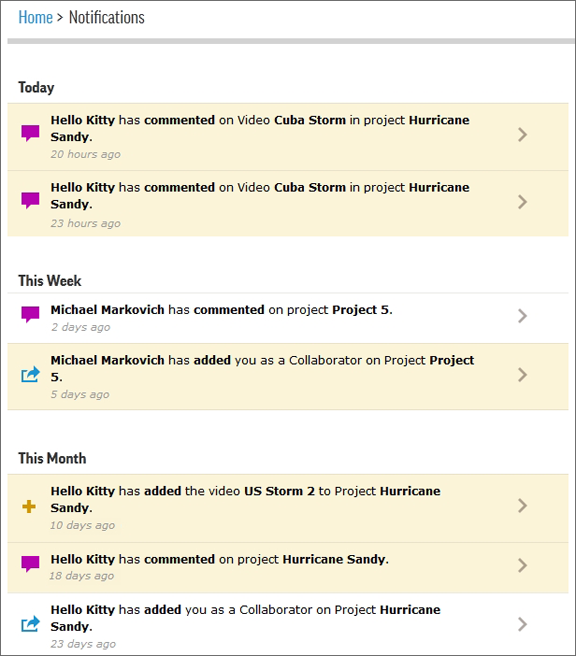 You receive notifications whenever a new comment is added to one of your shared Projects/individual stories within a shared Project. If you choose not to receive these notifications, you can unfollow the Project. What can I do with a Clipbin? Only a Project owner can manage the Project's collaborators. However, as a collaborator, you can click unfollow/follow beside your name (Me) to turn off/turn on this Project's comment notifications. Delete this story from the Clipbin. Share this story with your colleagues or others. Move this story to another Clipbin. A notification is an AP Archive alert that indicates a change, such as the state of a Project (new stories or comments added to it) or the approval/denial of a request (licence or footage). There are 10 types of notifications. How do I access my notifications? Click (#) Notifications at top right to display a menu with the 1o most recent notifications. To view more details about a specific notification, click it from the menu. Yellow highlighting appears on menu items that were previously reviewed. As the notifications are reviewed, the (#) number in the Notifications link decreases. "0" Notifications indicates that you have reviewed all of your notifications. To view a listing of all notifications, click View All Notifications at bottom to open the Notifications page. To view more details about a specific notification, click it from the page. Yellow highlighting appears on page items that were previously reviewed. What types of notifications are available? Opens the Order History page directly to the related story. The item’s Status = Download Now; click the link to download the footage. Opens the Order History page directly to the related story. The item’s Status = Failed. Opens the Order History page directly to the related story. The item’s Status = Shipped. Opens the related Project’s page. Opens the related Clipbin’s page directly to the story with the new comment. Opens the related Project’s page with the new comment. A new comment is added to a Project that you own/created. Opens the Order History page directly to the related Licence details. Opens the related Clipbin page directly to the new story. Can I turn off my notifications? You can only turn off comment notifications for shared Projects. Open the Project's main page. Then, click the Unfollow link beside your name (Me) in the Collaborators list at lower right.. Then, click the Unfollow link beside your name (Me) in the Collaborators list at lower right. When you are ready to begin receiving the notifications again, click Follow. Collaboration allows you to view and share stories with other users. You can use comments as a way to communicate ideas/suggestions about specific Projects or stories. 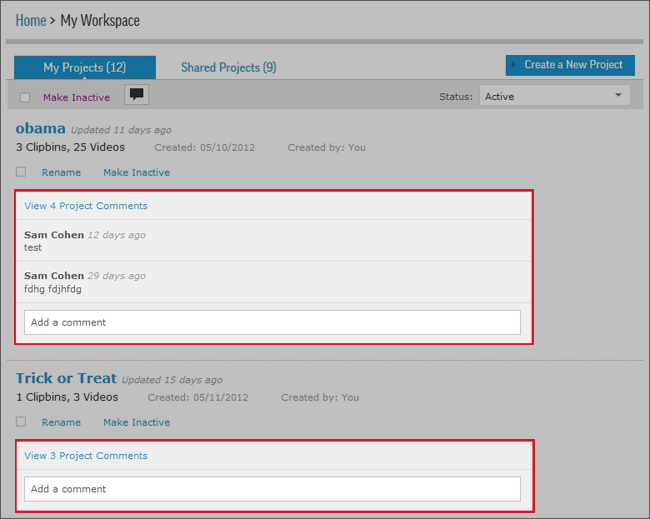 As a Project owner, you can view/add/delete all of your Project's comments. 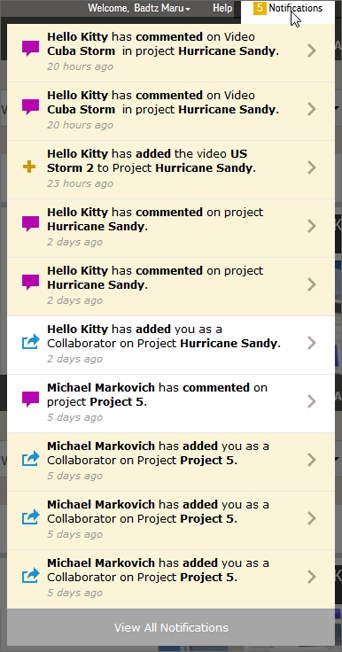 As a collaborator, you can view/add/delete comments to any Project that you have been assigned. All projects that you are a collaborator for appear in My Workspace's Shared tab. How do I add a collaborator to a Project? You cannot add a collaborator to a Project that you do not own. Click My Workspace; then open the desired Project page. Click the Edit link at lower right in the Collaborators section. Enter the email address of the collaborator in the Add box. 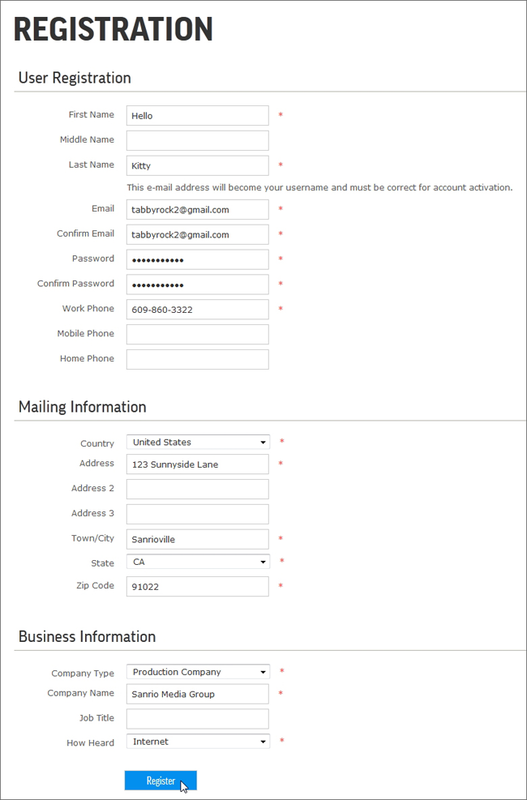 To add multiple collaborators, click <Enter> after entering each email address. Result: The collaborator(s) appear in the Collaborators list. 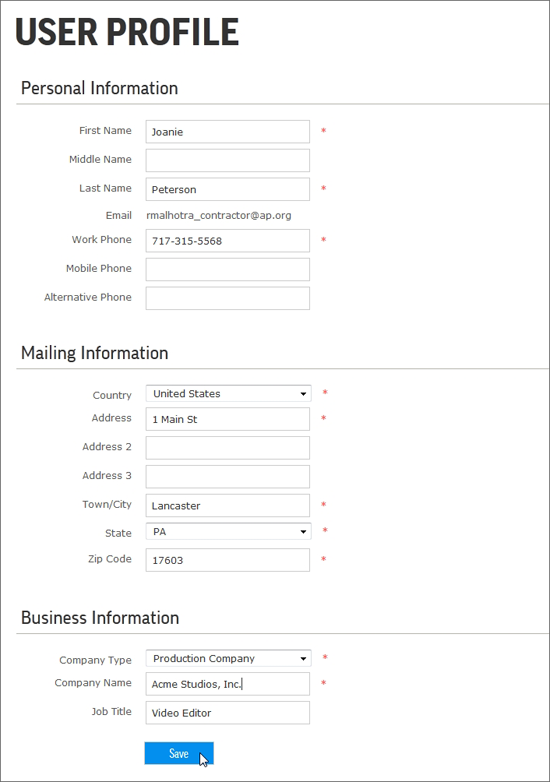 If the collaborator is a registered AP Archive user, their name and email address appears in the list; otherwise, only the email address appears. Result: The collaborator receives an email to inform them of the new designation/shared project and includes a link to access the Project. How do I remove a collaborator from a Project? Open the desired Project page. 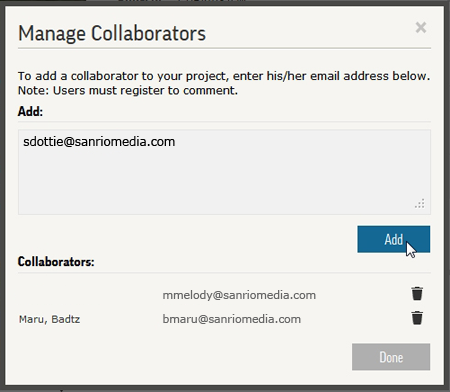 Click beside the collaborator’s name; then click Yes when the deletion confirmation appears. Where can I view comments? My Workspace's main page. Displays a listing of all Projects. By default, the two most recent Project comments are always displayed. Click View (#) Project Comments to view all Project comments; click View Less to return to the default state. A Project's main page. Displays the contents of the selected Clipbin. By default, the two most recent story comments are displayed for the very first item in the Clipbin; all other comments are completely collapsed. Click View (#) Comments to view all comments for the story; click View Less to return to the default state. A Full View page. Only available if the Full View is accessed from My Workspace. How do I add a comment to a Project or story? Enter your comment text into the comment text box; then click <Enter>. How do I remove a comment from a Project or story? Move the mouse over the desired comment; then click to the right of the comment. As a Project owner, you can delete anyone's comments. However, as a collaborator, you can only delete comments that you added. How do I know when a new comment is added to a shared Project? A new notification entry appears in the Notification menu. Can I share stories or Clipbins with a non-registered AP Archive user? Yes. Share the story or Clipbin as you would normally. The story and Clipbin viewing experience differs slightly from that of a registered AP Archive user, including limited functionality and (for Clipbin sharing) a different Clipbin/Project page view with limited functionality and Register and Login links at the top of the page. Sign in or register for an account to obtain full Clipbin functionality. Can I turn off comment notifications? Open the Project's main page. Then, click the Unfollow link beside your name (Me) in the Collaborators list at lower right. How do I show or hide all comments? 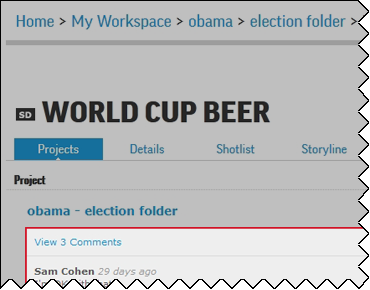 Click in the Project's Action toolbar to hide the comments for a more streamlined view of My Workspace pages. Click it again to show all comments. When you show the comments again, the comment display returns to the state in which it was when you hid the comments. For instance, if the comments for two of the Project’s stories were expanded, then the comment display is returned to this state. How do I request footage? For a single story: Click beneath the story. 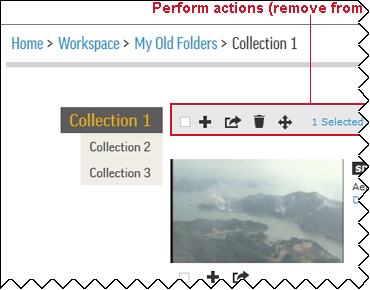 For multiple stories: Select multiple stories; then click from the Action toolbar. Fill in the request details. Specify the footage type (Screener/Master), method of delivery (Online Download/mail/hand delivery) and the desired video format standard (several different NTSC and PAL standards are available). Screener request. Screener request footage is usually available immediately; they do not require an approved licence. Format. Specify the video medium on which to copy the footage (DVCam, DVD, etc.). Comments. Enter any special notes or delivery information for the footage. Master request. 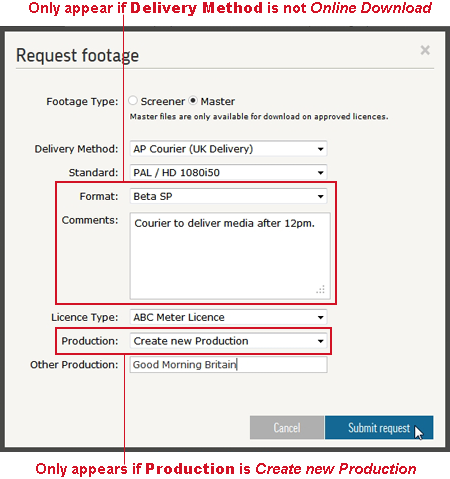 Master request footage requires an approved subscription, meter or other licence for request approval and download. For Licence Type, select the appropriate licence to charge the download to. Other Production. Specify a name for the new Production. If desired, you can request only a portion of a story's footage. 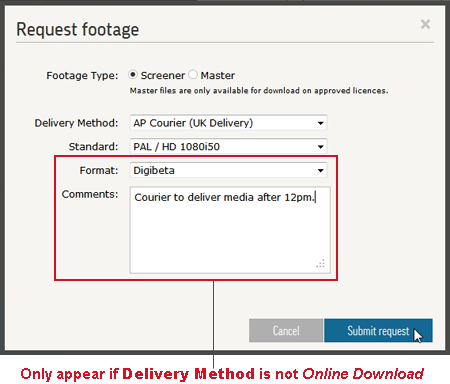 The status of your footage requests (or download links) can be seen on the Order History page. How do I request only a portion of the story's footage? Display the story’s Full View. 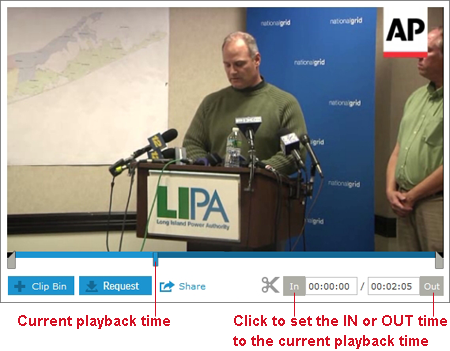 The video clipper and the In/Out time boxes appear below the video player. Enter the footage start and end times (in the format HH:MM:SS) in the In/Out boxes. Click either the In or Out buttons to set its corresponding time to the current playback time. 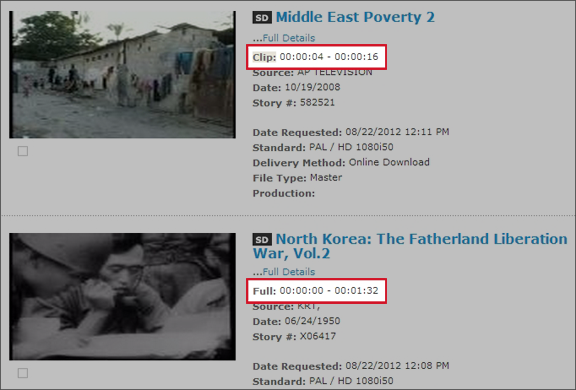 Slide one or both ends of the video clipper to specify the footage stand and end times. The In/Out boxes are automatically populated with the corresponding times. Click Request to request screener or master footage for the selected clip. The Length options appear in the Request Footage window, which allow you to specify whether you want to request the selected video clip or the entire video. How long are my downloads made available? A screener download is available for 14 days; a master download is available for 72 hours. After these durations, the corresponding Download Now link on the Order History page expires. How do I request footage for my subscription licence? Specify the details in the Request Footage window. Select a subscription licence name from the Licence Type menu. How do I request footage for my meter licence? Specify the details in the Request Footage window. Select a meter licence name from the Licence Type menu. How do I request footage if I don't have a subscription or meter licence? Specify the details in the Request Footage window. Select Other from the Licence Type menu; then select the licence name from the Licence menu. The Licence menu contains a list of all approved licences that you requested via the AP Archive site. If you need to request a new licence for this footage request, click My Licences. You will be invoiced later for your downloads, per your usage declaration. What happens when I request footage that exceeds the download limit of my meter licence? You will receive a message that you are approaching or have exceeded your meter download limit. To resolve this issue, amend the number of stories you have selected or request an "Other" licence to be invoiced for downloads later. What happens when I request footage for stories that are not in my subscription? You will receive a message that you selected one or more stories that are outside of your subscription. To resolve this issue, amend the number and/or type of stories you have selected or request an "Other" licence to be invoiced for downloads later. What is the difference between a screener request and a master request? A screener request is a request for a preview/demo version of the footage that is frame accurate, low resolution and embeds the AP watermark, story number and BITC counter in the footage. A master request is a request for the essence footage, which is the clean, high-quality version of the video without the embedded AP watermark, story number and BITC counter. Video editors will use this version to incorporate into their final video productions. In addition, a master request must have an associated Sales-approved licence before the footage is made available. What are the different ways that I can receive a requested story? You can receive requested footage via either online download, pickup from AP (Collection), AP courier to your location, your own courier from AP to your location (Client Courier), the post office (Post) or other delivery means (Special Delivery/Signed for within Europe). Stories with the NOT DIGITISED thumbnail require special approval from Sales to digitise the story. How can I check the status of my requests? Click Order History from any site page at top right. 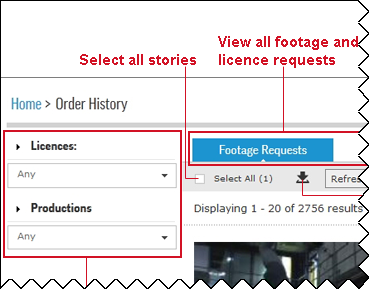 The Order History page provides a complete history of all footage and licence requests. Footage Requests. These requests can be filtered by Production, Licence, request type (Screener/Master) or by request status (Approved, Pending Approval, etc.). When footage is ready to download, click Download Now (or select multiple stories that are ready for download, then click in the Action toolbar. Multiple videos are zipped and downloaded as a single package. Licence Requests. These requests can be filtered by Production or request type. I've made dozens of requests. How do I filter my Order History list? Select a request status or request type (depending on whether you are viewing footage (downloads) or licence requests) from the Filter by menu at top right. In addition, you can also filter requests by their associated Licence or Production using the filter menus at left. There are several reasons why your request may be denied. A common reason is an existing conflict between your licence and the requested footage rights. Please contact your Sales representative to find out specifically why your request was denied. When we approve your requested licence, it will be subject to the licence terms that have been specified by AP Archive. After downloading footage from an approved licence, you must inform your Sales representative of which stories you used in your Production and the combined duration of the footage clips. We will use this information to update your licence and for billing purposes, as necessary. Declaring usage is only required for footage requested from "Other" licences; usage is not required for footage downloaded using subscription or meter licences. How do I declare usage? Click Order History Licences tab Declare button beside desired licence entry. 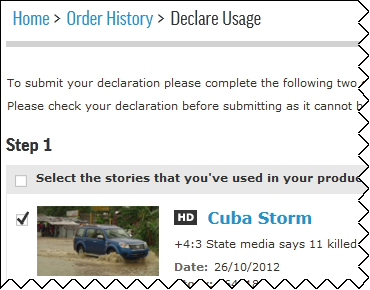 The Declare button appears for approved licences with associated undeclared downloaded footage. If the Declare button is not available for an approved licence, then usage was already declared. The Declare button turns red if you have not declared usage one month past the licence approval date. Select the stories that you used in your Production (Step 1); then specify the total duration of all requested footage (Step 2). To specify 00 for hours, then accept the default HH setting or select 0. This setting also applies when specifying the minutes (MM) and seconds (SS). Review your details carefully before clicking Submit Declaration, as these details cannot be changed later without contacting your Sales representative. Do I need to declare usage for subscription or metered downloads? No. You do not need to declare usages for these types of licences. The usage has already determined per the terms of your AP Archive agreement. I downloaded footage, but did not use it. Do I still need to declare usage? Yes. You still need to declare usage, whether you used the footage or not. It is the only way to remove the Declare button beside the licence entry on the Order History's Licence tab. If you did not use the downloaded footage, select all stories in Step 1; then select 0 for HH, MM and SS in Step 2. I've already declared the usage. Why can't I update it? You can only submit usage for a licence once. If necessary, call your Sales Representative to reject the usage so you can resubmit your usage declaration. How do I contact Customer/Sales Support? For general enquiries, email info@aparchive.com. To contact a member of the Sales team for your region, see Contact Us. How can I comment on the documentation? To comment on this FAQ, send an e-mail message to documentation@ap.org.